I’ve had the Echo Smartspeaker (containing the digital assistant named Alexa) since December 2014, and it’s been a fun ride as Amazon keeps pushing out new updates. In January the device received an update to push any music app running on your phone to the speaker via Bluetooth. That was the clincher for me, and now the Echo Speaker is used almost constantly when I’m home. But Amazon wasn’t done yet. Today the company announced a new update, which is the ability to pair Smart Home Technology. This let’s you control those devices with your voice. So what exactly does that mean? For now, it’s all about the light bulbs. I’ve been anxious to get some WIFI enabled light bulbs. But they are pricey. A basic setup will require you to drop $100 on the low end, and several hundred isn’t out of the question. So my light bulbs remain “dumb” for now. 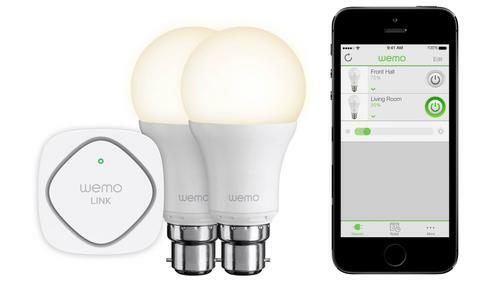 A smart light bulb kit comes with a WIFI Link, which you plug into the wall and a couple light bulbs (you can always add more). Before Echo got involved, you controlled those bulbs with your smartphone, which is still pretty cool! 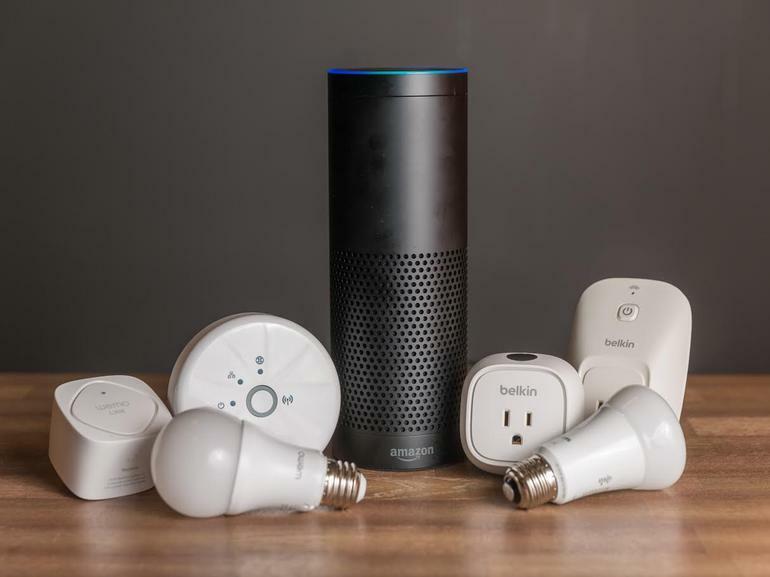 But now you can pair those bulbs with the Echo Smartspeaker and simply tell the lights to turn on. Now, you gotta admit, that’s pretty awesome! I have a couple lamps that, based on their location, are a pain to turn on, and my dream of just telling them to turn on and off is close to becoming reality. But the potential goes way beyond just light bulbs. The Echo Smartspeaker, since the very beginning, has been a signpost in tech showing us where smart technology in the home can take us. With smart device connections, one day you could tell the coffee maker to start in the morning, the doors to lock before going to bed, and the dishwasher to start in the middle of the night. Even Crock Pots are getting connected! There are so many possibilities, and the Echo Smartspeaker is just the first step in that direction. Of course all first generation devices have their glitches and the speaker remains pricey at $200 (by invite only). Prime members still get a discount though at $150 (again, by invite only). If you want an invite click HERE. I’ve had a lot of gadgets, but the best ones have always been those that integrate easily into my daily life, enhancing it and making things easier. Now I can ask for a news update any time of the day, I can ask for the current traffic report before hitting the road, and I can tell it to play any song in my music library and it does it, consistently well. And hopefully soon I’ll be turning the lights on and off with my voice! It’s exciting to see what this thing will do next!